Concussions aren't just for NRL players. They can happen while playing in a weekend sports league or even from an unlucky slip and fall. If you know how to spot a concussion and where to find good treatment, you can avoid the risk of further injury. While you can get a concussion elsewhere in life — falls, car accidents, and assaults are among the common causes — concussions have a special place in sports. Athletes subject themselves to the possibility for falls and collisions constantly in many sports, and it's important to pay attention to recovery so that you're fully healed by the time you return to play. Many people may not even realise they have a concussion, and they don't always come from an obvious blow to the head. Slight dizziness or a headache may not seem like a big deal at first, but they can be symptoms of a more serious issue. So first things first: If you have any of the symptoms described in this post, even mild ones, you should step back from any activity where you could injure yourself further. A responsible coach will bench you, even if it's the middle of a game — and if they don't, you should remove yourself from play. To determine if you really do have a concussion, and what you should do about it, you should see a doctor who has expertise in dealing with brain injuries. We spoke with neurologist Dr. Jeffrey Kutcher to bust some myths about concussions and help you understand what to do if you get one. A concussion isn't a simple injury like a bruise or sprain, where a body part is torn or smashed or broken. Rather, a concussion starts with an injury — often the brain smacking against the inside of the skull — and then the brain cells, attempting to return to normal, alter their function. Those results can include brain cells firing more or less often than they should, being unable to reach brain cells they normally communicate with, and other subtle changes that don't show up on MRI or CT scans. Instead, the damage is only noticeable in the way the brain functions. The exact symptoms differ from person to person and injury to injury, and can involve almost any part of the brain. This means symptoms can range from slowed reaction time to difficulty focusing or thinking clearly to nausea and vomiting. That's why it's so important to be on the lookout for the symptoms of a concussion. You could notice them after a hit to the head, or some other fall or collision that whips your brain around without touching your head. A concussion can result from a hit so hard you get knocked out, or it can be a "ding" that you're tempted to shrug off. Understanding what's going on is important when you're standing on the sidelines and wanting to know when you'll be able to play again. While there are plenty of apps and checklists to help you know what's going on in case of a suspected concussion, including well-respected tools like the Sport Concussion Assessment Tool (SCAT3), Dr. Kutcher stresses that these aren't meant to tell you, as an observer, whether somebody actually has a concussion or not. If somebody "passes" a concussion test, they still shouldn't go back on the field. Your job as a coach or teammate is to rule out a triple zero-level head trauma and then just to help somebody realise that they should sit out. Any further evaluation is a doctor's job. Seeking medical clearance is simply a good idea. A doctor can also help figure out if your symptoms are really caused by a concussion, or if something else is going on. There may be other factors involved that they can help with, too. For example, concussion symptoms can be worse in people with ADHD, migraines, or sleep disorders. A doctor can also provide medication to manage that extra pain, help you sleep, or deal with nausea. Part of the doctor's job is to help educate you and make sure you understand what to expect. Now that the public is paying more attention to concussions, Dr. Kutcher says he's seeing more people who are scared or stressed about how a concussion will change their life. But "the vast majority of concussions are not life-altering events," he says. Most people recover without difficulty. The ideal doc is a neurologist who specialises in athletes, but at the very least you need somebody with up-to-date training in how to diagnose and treat concussions. Unfortunately, not every doctor at an emergency room or urgent care clinic fits that bill. Dr. Kutcher says to watch out for anybody who gives you a hard-and-fast rule, like avoiding school or work for a certain number of days, or who insists on complete rest until you're symptom free. Those are older ideas that aren't supported by the current understanding of how the recovering brain works. If you didn't see a specialist, and your symptoms linger beyond a week or so, consider looking one up. If yours is a tough case and you're lucky enough to live near one of the few state-of-the-art concussion centres in the country, you might consider paying a visit. Relative rest (6-10 days) - You're feeling a little better, and are probably sick of hanging out in a dim room all the time. It's fine to do chores around the house, maybe go to work or school part time, but take it easy. Returning to normal (3-4 days) - This is for people who are trying to return to a serious sport, but less important if you're just getting back to a day-to-day routine. Under your doctor's supervision, you'll do more and more complex tasks to make sure your brain is ready to handle the complex mental and physical job of playing a full contact sport again. In this last stage, you might be asked to do some light exercise and wait a day to see if your symptoms return. If they don't, the next phase could include more serious exercise, like interval training, and more complex tasks, like drills that require agility and strategising, before you're fully ready to return. If you return to play before a concussion is fully healed, the next hit to your head could re-injure your brain. The average weekend athlete doesn't have to worry about Chronic Traumatic Encephalopathy, the condition that the movie Concussion centered around. Still, it's a good idea to protect yourself from concussions if you play a sport where they're common. Helmets can't completely prevent a concussion, but they do help. Some helmets are built to cushion your head better than others, and you can look up safety ratings, like Virginia Tech's star system, that tell you how well a helmet performed in the lab. That isn't a guarantee of safety, though, because head injuries are complex and lab tests don't recreate everything that can happen on the playing field and inside the skull. 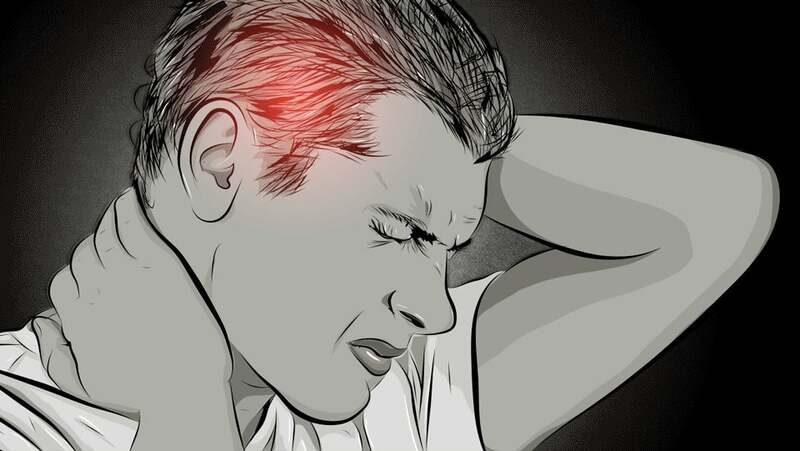 A single concussion is an injury that you can recover from, but if you're playing a sport that involves lots of hits to the head, those hits can add up over time. If you play that kind of sport — Dr. Kutcher points out that football players can take hundreds of hits to the head each season — a neurological evaluation should be part of your yearly checkup. Bennet Omalu, the doctor portrayed in the Concussion movie, argued recently that tackle football is dangerous enough that children shouldn't play it. It's your call whether to avoid sports or other risky activities, either for yourself or as a rule for your kids. If you know that you're putting yourself at risk for getting a concussion, knowing when and how to seek help is the next best thing. Dr. Jeffrey Kutcher, recently of the University of Michigan, is the Executive Director of The Sports Neurology Clinic in Brighton, Michigan, and a Fellow of the American Academy of Neurology. Go to the hospital because it turned out to be a brain hemorrhage.